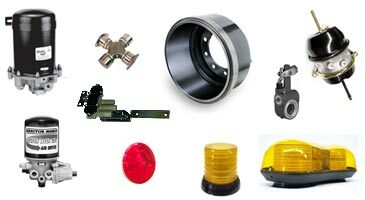 truck parts, accessories, and service! Mutual Wheel Company has eleven locations in Illinois and Iowa with our main warehouse and corporate offices based in Moline, Illinois. Each location has a full-service parts department that can handle all of your truck parts, accessories and tool requirements, and several offer truck service bays. Our service facilities are staffed by ASE certified technicians who can keep your truck running safely down the road. Services range from replacing an air brake valve to straightening a bent frame. Our Moline, Illinois facility is also home to our brake shop where we produce many thousands of our "Top Performance" lined brake shoes every year for tractor-trailer applications. Our strict quality controls have earned us a reputation as a top-quality brake supplier. These high quality standards have proven to give our customers lower costs per mile when compared to other supplier's marginal quality brake shoes.